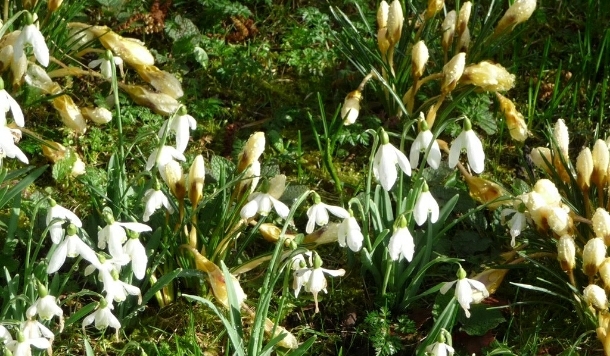 A visit to Marchants Hardy Plants nursery for their ‘snowdrops weekend’ was a wonderful way to kick-start our spring garden visits (though relentless rain on Sunday proved a bit of a dampener to our enthusiasm for the new season!). The Marchants garden itself was awash with delicate swathes of snowdrops peeking up over the mulch and lighting up the beds and bare hedgerows; and in the ‘potting palace’, an exquisite display of special varieties set in moss, with nearly 40 varieties available for sale. 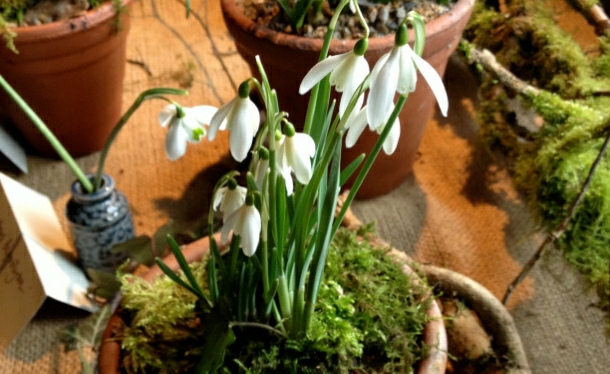 Galanthus are more commonly known as snowdrops. They are perennial, herbaceous plants which grow from bulbs and are found growing wild from Italy to Turkey, mostly flowering in the depths of winter. They are very hardy. The common snowdrop, Galanthus nivalis, is in fact not native to UK. It arrived during the 17thC and has made itself at home here, often spreading to form huge colonies. True collectors, Galanthophiles, relish the subtle and not-so-subtle differences of the many single and double forms – the plant and leaf form, the central green markings, the way in which the bloom hangs from the thread-like pedicel, the shape of the six tepals (three outer, three inner tepals it has no petals). Here at the Garden House we’re also enjoying the quietly emerging early spring buds and flowers. 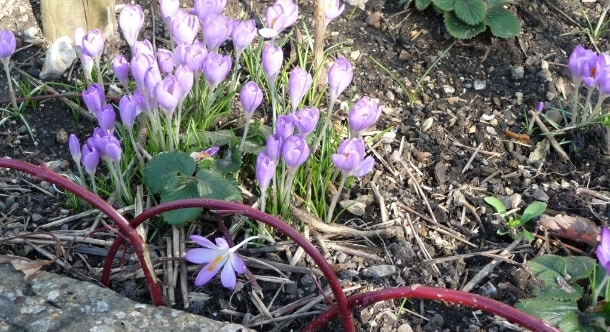 At this time of year, it’s like a game of hide-and-seek as you have to move leaves and trim away spent grasses to reveal, not just snowdrops, but early crocus, anemone, narcissi and just starting to push up are the leaves of miniature Iris reticulata and of Iris “Katharine Hodgkin’ (one of our favourites). 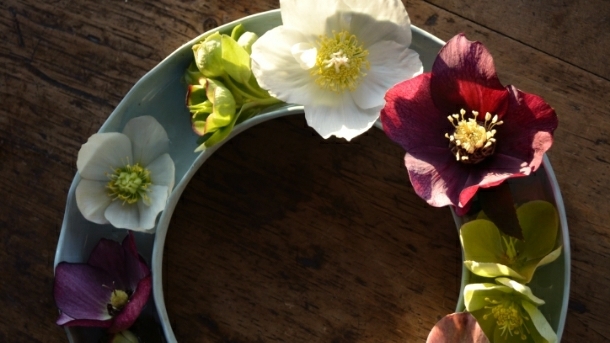 Our many varieties of beautifully subtle hellebores are in flower now too.